The definitive guide to raising more money and cultivating loyal donors. Annual giving is a nonprofit organization’s ongoing fundraising effort. The two main objectives of annual giving are to form stronger donor relationships and raise funds for the nonprofit’s operational expenses. What is an Annual Giving Campaign? An annual giving campaign refers to the set of strategies nonprofits implement to raise annual funds. The campaign will consist of many efforts, all of which concern donor stewardship and solicitation. What is an annual fund? The annual fund is the money raised from an organization’s annual giving campaign. It’s generally used to help nonprofits cover their operational expenses while they run more targeted campaigns for specific projects and causes. Customizable forms help you raise more online. Get a full picture of your donors so you can build relationships. Auto-send your donors IRS-approved receipts. Easily create, promote, and track peer-to-peer campaigns. Reach new donors — and retain existing supporters. Leverage donor data with advanced reporting and insights. In just one year with Neon’s donor management tools. It covers your operational expenses. In an ideal world, nonprofits would be able to put all of the funds they raise toward furthering their causes. As an entity, your nonprofit needs to raise money to stay up and running, so you can continue making a difference. That’s where the annual giving campaign comes in. It allows you to raise the funds needed to cover your operational expenses. That way, your organization can focus your other fundraising campaigns on working toward the philanthropic goals that will directly further your cause. 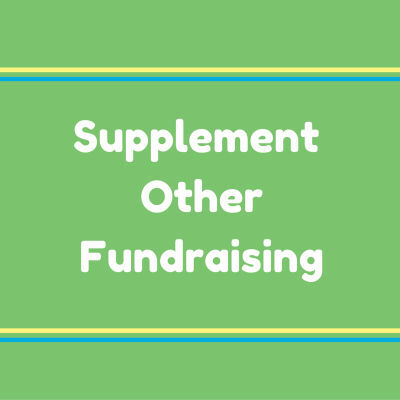 It supplements your other fundraising campaigns. That doesn’t mean all of the money you raise has to go to your operational expenses, though! The great thing about your annual campaign is that your organization can put your annual funds towards anything. You can also use the funds raised in your annual campaign to help you supplement your other campaigns and meet those fundraising goals. Even if you only raise enough to cover your operational expenses, your organization will still have a greater chance of reaching your overall goals, since you won’t have to split the money between your cause and your operations. 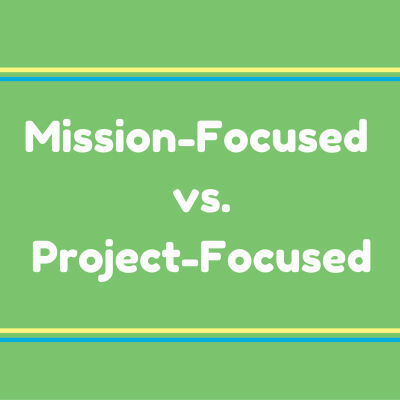 It’s mission-focused instead of project-focused. Because you’re not raising money for a specific cause, your annual campaign is an excellent time to remind supporters what your organization is really about. Seeing as the main focus of your annual campaign will be your organization itself, it will bring to the forefront your greater mission and passion for the cause. In other words, it’s a great opportunity to raise awareness of your cause. Not only will you hopefully grow your supporter base, but you’ll also remind your loyal followers of all the important reasons they supported your cause in the first place. It increases your donor retention rate. One of the main reasons organizations run annual campaigns is to form deeper relationships with donors, so they can get more value out their base. It’s much easier and more cost-effective to leverage current supporters than it is to win new ones, so much of the annual campaign will focus on getting existing donors to give again. Plus, recurring donors give more on average, and their gifts will make up a large majority of your overall funds. Since there’s an ongoing emphasis on strengthening existing relationships that wouldn’t otherwise be there, organizations that run annual campaigns usually see higher donor retention rates. In fact, almost ⅔ of organizations with an annual fund said that at least 60% of their donor base renewed their recurring gift for the current fiscal year. It increases opportunities for donor upgrading. The organizations with the most successful annual campaigns won’t just stop at retaining their donors. Because the organization has already convinced their recurring donors that the cause is worthwhile, these donors provide the best chance of raising even more money. The annual campaign results in more recurring donors, giving nonprofits more chances to upgrade their donors to higher giving levels. Plus, since the annual campaign relies so heavily on stewardship, donors will enjoy deeper nonprofit relationships and be far likelier to give more. Overall, with an annual campaign in place, organizations should see a higher donor upgrade rate, and therefore, more funds. Show me how donor management software can make my job easier. As we’ve mentioned previously, the goal of annual giving is for nonprofits to raise unrestricted funds. Considering that unrestricted funds are integral to understanding the annual campaign, here we’ll briefly explain and differentiate them from restricted funds. Restricted funds are those that have restrictions placed on them by the donor. They must be used by the organization only in the designated way. Funds can be time-restricted, meaning they have to be used within a certain period of time, or cause-restricted, meaning they have to be put toward a specified reason. Nonprofit organizations encounter restricted funds all of the time. Most of the funds raised from campaigns other than the annual giving campaign will be restricted. Since your organization is making a specific ask and requesting money for a definite goal, your organization must apply the funds raised within the context of that campaign. As you’ve probably guessed, unrestricted funds are those that don’t have donor-imposed restrictions placed on them. Nonprofits can use them for any reason. 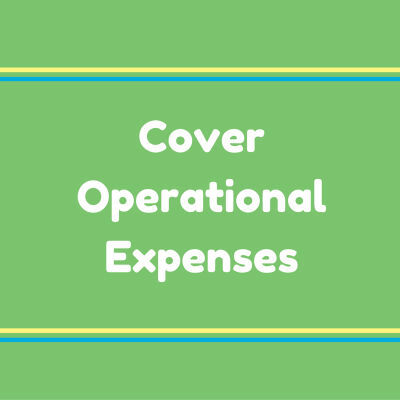 While most organizations will use them to cover general operating expenses, they can just as easily be put towards specific causes. Unrestricted funds give the organization more financial flexibility, and without them, nonprofits would have no way to keep the organization up and running. Because annual campaigns are more generalized fundraising, they allow nonprofits to raise these necessary funds. Although some donors will place restrictions on their gifts, most of the annual fund will be the organization’s to do with as it pleases. Only large, long-standing organizations can run annual giving campaigns. Organizations of all shapes and sizes can execute successful annual giving campaigns. The goals that these campaigns work towards are crucial for all organizations, so annual giving is valuable and even necessary. Although they will require significant time and resources, the size of the campaign will be proportionate to the needs of the organization. While they’ll still need to raise unrestricted funds and have an excellent stewardship strategy in place, smaller organizations won’t have as much money to raise or as many donors to solicit. When done right, there’s no reason why campaigns run by all organizations—big and small—shouldn’t be a success! Donors who have given to an annual campaign won’t donate to another campaign in the same calendar year. Some organizations worry that implementing an annual campaign will reduce their donors’ motivation to give to other fundraising campaigns throughout the year. However, in actuality, this isn’t the case. Why? You’re running your annual campaign and more specific fundraising campaigns for different reasons. Your annual campaign will give donors the opportunity to support to your organization and its mission as a whole. Other campaigns, on the other hand, allow donors to give to the specific causes that they’re really passionate about. If they trust your organization and are moved by the cause, your donors will give to multiple campaigns, multiple times a year. Annual campaigns shouldn’t be focused on soliciting individual donors. Annual campaigns are all about soliciting individual donors! Not only are individuals the easiest to form personal relationships with, but they’re also the most valuable type of donors for nonprofits. Contributions made by individual donors will make up about 70% of your overall funds raised, so they’re worth focusing on. Plus, individuals are more likely to give on a recurring basis. The amount nonprofits raise from them over their lifetime with the organization will generally be much higher than the amount raised from corporations or foundations. Although individual donors might give less up front, they’ll be more important for your organization in the long run. Make them the focus of your annual campaign! Annual giving campaigns are expensive. Your annual giving campaign will require a significant investment on the part of the organization. Although making any investment requires some risk, the point of making one is to see even greater returns. The time and money you’re channeling into your campaign should ideally bring you a higher amount of funds and more meaningful donor relationships. If you want to see better results for your organization both now and in the future, an annual giving campaign is an investment well worth making. Plus, the beauty of annual campaigns is that they can be completely customized to the organization’s needs and resources. If you’re working with a limited staff and/or budget, your organization can plan your campaign around more cost-effective tactics, so cost will never be a barrier. Lawrence Humane Society used Neon’s fundraising software tools to reach more donors than ever before — raising even more money for their mission. Annual campaigns have many objectives that, when achieved, will help nonprofits establish the best footing for current and future fundraising success. While we’ve already touched on some, here we’ll briefly show you how each objective will help your organization achieve the best fundraising results overall. Provide funds for the organization. Of course the primary objective of any fundraising campaign will be to raise funds! What sets annual giving campaigns apart, however, is that they’re the nonprofit’s best opportunity to raise unrestricted funds. We’ve already touched on restricted and unrestricted funds, so we won’t go into more detail here. We’ll just say that the basic fiscal goal of the annual campaign is for the organization to raise enough money to cover their operational expenses. If they have room to spare, these funds can also help nonprofits meet the goals of their other campaigns. Establish and track giving habits. Because they place an emphasis on stewardship and donor retention, annual giving campaigns should provide nonprofits with a solid base of recurring givers. As we touched on earlier, recurring donors are valuable because they’ll raise more money for the organization throughout the span of their relationship. To take this a step further, nonprofits should also track these habits to make the most out of their relationships with recurring donors. Analyzing the habits of recurring givers can help nonprofits plan their asks and forecast when they’ll receive funds so they can better plan their future campaigns. It can also give them insights into the possible greater giving patterns of donors in general, so they can plan their stewardship accordingly. In order to plan a successful annual giving campaign, nonprofits have to figure out how much they need to raise from each donor. That being the case, annual campaigns require nonprofits to take a nice, long look at their existing donor base to see where they could be raising more. This analysis provides the organization with an excellent opportunity to pinpoint prospective major gift donors. Major gift donors will play a huge part in helping your organization reach its annual fund goal. Furthermore, if you can retain them, they’ll be some of the most valuable donors your organization will have for years to come. Your annual campaign won’t just be about raising funds! It’s about strengthening your relationships with your donors in general, so they become more loyal supporters and contribute in multiple ways. Since it’s your cause at the center of your annual campaign and not a specific goal, it’s a great chance to make non-monetary asks. For example, if someone isn’t ready to make a donation but still feels passionately about your cause, you can ask them to volunteer. Keep data clean and up-to-date. The way you approach your supporters will depend on the data you have about them. At the very least, you’ll need accurate contact information to get in touch with each donor. The smartest organizations, however, will use more of their donor data to help them get to know each constituent and approach each individually based on their preferences. As such, your organization will want the most accurate donor data possible. Although you should do it on a regular basis, it’s tempting to sweep data cleaning under the rug if you don’t have a good reason to do it. The annual campaign is that reason. If you don’t have accurate data on your donors, it will be much harder to target them and make successful appeals. Nonprofit donor databases have many automated features that make staying on top of data cleaning easier. Provide a stewardship tool and form deeper donor relationships. The stewardship process isn’t just crucial for securing donations. It’s also important because your donors are putting their trust and support in you. They deserve a genuine and personal relationship with your organization. When running a more specific campaign with a shorter time frame, it can be all-too-easy for organizations to skip stewardship and head straight for the end goal. While this is understandable and often necessary, luckily annual campaigns provide organizations with an excellent stewardship tool. You’ll be running your campaign over a longer period of time and using many strategies, so you can approach donors multiple times from multiple channels. This helps you get to know your donors and establish more meaningful relationships with them beyond just asking for donations. Because they know your organization personally, these donors are likely to give more and be more involved, both now and in the future. Of course, as with any big campaign, it’s advisable to start with a budget. Carefully crafting your budget is especially important for annual campaigns, though. Since they’ll be going on for a more extended period of time, they require more planning if your resources are going to last throughout the campaign. Make sure that you allocate your budget from the beginning, so you have enough to cover your campaign. A SWOT (Strengths, Weaknesses, Opportunities, Threats) analysis is a way for organizations to evaluate both their internal and external fundraising circumstances. Strengths: Refer to the internal strengths the organization possesses. Weaknesses: Refer to the internal challenges or shortcomings the organization faces. Opportunities: Refer to internal or external circumstances that are favorable for helping nonprofits reach their campaign goals. Threats: Refer to internal or external circumstances that might impede the organization from reaching its goals. When analyzed together, these components will help organizations understand all influential factors, so they can better strategize for their annual campaigns. Not only does accurate donor data let you get in touch with donors, it also helps you target your outreach to make it more compelling and relevant. It couldn’t be more important to analyze your donor data to ensure that it’s up-to-date. Email supporters and ask them to confirm their contact information. Erase any data that’s no longer accurate. With a set of clean and accurate data at hand, you’ll have the best chances of engaging your donors. You have your goal, but what will it take to raise it? There’s no better way to determine exactly how much money you need to raise and from where than by calculating and analyzing cold, hard data. That’s where the arithmetic of fundraising comes in. It’s essentially a mathematical formula that takes the guesswork out of fundraising. The arithmetic of fundraising tells nonprofits exactly how much they have to raise from each of their donors to meet their annual fund goal. Want to know how it’s done? Click here to find out! The arithmetic of fundraising is a mathematical formula that tells nonprofits exactly how much they have to raise from their donors during the annual giving campaign. Not only does it let organizations know the quantity of gifts they must procure, but it also tells them what quality (or giving level) these gifts must be at. An organization’s major gifts (the top 10% of the gifts received during the annual campaign) can potentially produce up to 60% of the funds required to meet the annual fund goal. The next highest giving level (the next 20% of gifts) will make up about 15-25% of the money needed. The remaining 70% of donations will cover the rest (15-25%) of the funds needed to meet the goal. You’ve planned for the plan. Now it’s time to plan for the actual campaign! As a rolling effort, your annual giving campaign will require lots of planning to run smoothly. The planning process will be much more digestible when broken down into steps. That’s why we’ve laid out a typical campaign to help you get on track with your very own. Your annual giving campaign will have a less definite goal than your other campaigns, so it might be a little trickier to quantify. Think of it this way: although you will have a fundraising goal, your campaign is also primarily about connecting with your donors, which is much harder to measure. At the most surface level, your goal will be to raise enough money to cover your operational expenses, so this is a good place to start. Determine the very minimum amount of money your organization must raise to run comfortably. Once you’re there, turn to your SWOT analysis and the numbers calculated from your arithmetic of fundraising to help you decide how you’ll go about meeting your goals. As far as your other goals go, think about how you’ll measure their progress to ensure you’re staying on track. Step 2: Get a fundraising team together. Your annual giving campaign is perhaps the largest effort your organization will execute. You won’t be able to do it alone! Since your annual campaign will consist of various strategies, it’s important to have a cross-functional team on your side. At the very least, most campaigns consist of three major components: marketing and outreach, direct asks, and fundraising events (more on this later!). You organization will need staff members to plan out and manage these efforts if they’re going to be effective. Make sure you have a team committed to your annual campaign from the start, so it runs smoothly and there will always be a concerted effort to reach your goals. Step 3: Analyze your existing base. Retaining donors is much more affordable and valuable for nonprofits than securing new ones. In other words, when you’re planning your annual campaign, you should start by focusing on your existing base. How many donors do we have that give annually? How long have they been giving for? With what frequency do our annual donors give? How many give more than once a year? Monthly? Weekly? How recently was their last gift made? How much are these donors giving? Have our recurring donor always given at the same level or have they upgraded giving levels in the past? If our donors haven’t been upgrading, have we as an organization made a regular effort to encourage giving at higher levels? Which campaigns have recurring donors given to in the past? The ultimate question that organizations are trying to answer here is: do we already have prospects in our base who can give the quality of gifts we need to reach our goal? Most of the time, contributions from recurring donors will make up a huge portion of your total funds raised. For the portion that they can’t contribute, it’s time to think about how you’re going to secure new donors! Step 4: Create a calendar. Since your annual giving campaign will consist of a set of fundraising efforts and strategies, they’ll require some strategic timing. It’s best to start by marketing your campaign and sending donors other outreach, then plan the big asks after your campaign has reached your donors in other ways. If you’re hosting fundraising events, you’ll also want to spread these out throughout the length of the campaign and plan them for the dates that supporters will most likely be able to attend. Creating a calendar is also important because it will help your organization ensure it has enough staff and resources to allot to each effort of the campaign. Although you want your calendar to be as final as possible, you’ll want to leave some flexibility to account for the unknown schedules of pivotal constituents like volunteers and donors. Step 5: Determine the necessary tools. At this stage your organization will want to ask itself: what tools do we need to help us pull off our annual giving campaign? It’s important to think about all stages of your fundraising campaign and what you’ll need for each. 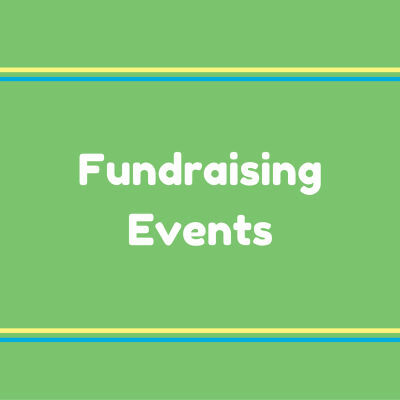 For example, if you’re hosting fundraising events, you’ll need to consider all of the products, services, and spaces you’ll need to line up. Most organizations will also benefit from some type of fundraising software, which was built to make operations more efficient and effective. When you consider how much time and money will be going into your campaign, it’s worth looking into! Step 6: Steward and solicit. The bulk of your annual giving campaign will be bringing your donors through the stewardship process and soliciting them for donations. The stewardship process is so complex and critical that we thought it warranted its own section. To learn more about stewardship, keep on reading through our guide or jump directly to the next section. Organizations should acknowledge their donors after receiving any gift, and annual giving is no exception. In fact, since your donors are acting on faith and giving to your organization to help with its operations, you could argue that the proper acknowledgement is even more important. Your organization should not only thank donors, but also provide them with donation receipts. Donation receipts are required by law in many cases and are needed by donors to claim the tax returns associated with charitable giving. Make sure you acknowledge donors soon after they make a donation, so they know you received their gifts and appreciate them. Step 8: Keep track and keep optimizing! Even if your organization exceeded its annual fund goals, it doesn’t mean you should stop improving. Stay on top of tracking your goals throughout the campaign. Once it’s over, you can analyze your data to see which strategies worked and which could be improved. Although determining whether you reached your goals might be more difficult when it comes to an annual campaign, there are still ways to measure your success. If the rate of recurring donors in your base increased and by how much. The number of lapsed donors made active again. How many new donors were procured. How many donors upgraded in giving levels. The number of supporters who volunteered. The amount of new constituent data collected. The average length of your outreach phone calls. How many people opened and interacted with your email campaigns. Measuring your goals will allow you to keep optimizing so you can see better fundraising results from your next annual campaign! Give me more tips on how to track my annual fund goals. See how Neon’s fundraising software can help your organization raise more from annual donors. Although they can make use of a wide variety of nonprofit efforts, most annual fund campaigns will revolve around three main efforts. Each of these will be crucial to the stewardship process and, in turn, your ability to raise funds. To start your annual giving campaign, first donors need to know about it! The initial marketing should inform supporters about the campaign and give them a tentative schedule. After that, organizations should continue their outreach to keep the campaign fresh on supporters’ minds. Your organization should interact with supporters through multiple mediums for the greatest chance of contacting donors through their preferred communication channels. Although you’ll eventually be making direct asks through the same channels, you should vary your outreach to form deeper relationships with your donors. Events give supporters something fun to do all while supporting a good cause. Plus, they’re an excellent way for donors to put a face to your organization and for you to interact with them in person. That’s why many nonprofits host one or more events within their annual campaigns. Some organizations choose to start a tradition by hosting the same big event year after year, while others will change their events from year to year. Whether you’re hosting one big annual blow-out or a bunch of mini-events, it will be an excellent occasion to form closer relationships with your donors and raise more money toward your goals. Your donors aren’t just going to throw money at your organization. If you want their donations, you’re going to have to ask! The pinnacle of your annual giving campaign will be the direct ask, made after you’ve reached out to your donors in other ways. 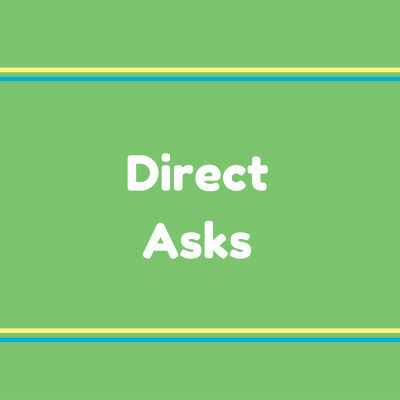 There are a number of ways to make direct asks. While your organization can probably get away with email or direct mail asks for donors at lower giving levels, your major donors probably warrant a phone call or an in-person visit. Make sure your ask is clear and tells donors exactly what steps they need to take to contribute. Show me how Neon can help plan my annual event! The timing of your direct asks can really make or break the success of your annual giving campaign. So, when is the best time to ask? Unfortunately, there is no correct answer. The right timing will vary from organization to organization. The start and end dates of your accounting year. Your capacity to accept donations, including the adequate staff and donation processing tools. What other fundraising campaigns are currently being executed. Make sure your organization has the time, resources, and full attention of your donors to make the best direct asks possible. Learn more about how to make the perfect ask. The stewardship process will be unique to your organization. However, there are some tried and true best practices that are sure to make your stewardship more effective! Even if you make the most convincing direct ask in the world, it won’t mean anything if giving is difficult for your donors. A complicated donation process could result in donors giving up before they’ve submitted their donations. Your organization should make giving easy and have many channels in place through which to accept donations. One of the most convenient ways for donors to give is through online donation forms. 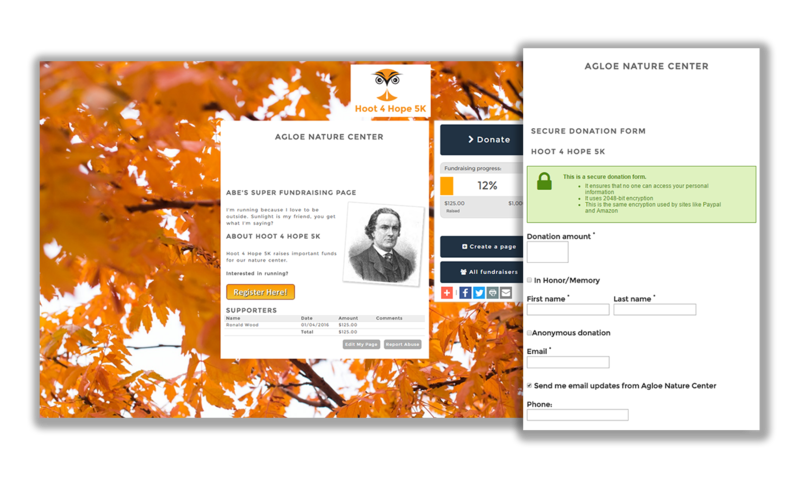 These forms should also be mobile-responsive so donors can give from their phones. If your organization is implementing online giving, make sure your donation forms are short and simple so donors will never be deterred from giving. You can make your asks more compelling by requesting a specific donation amount. Donors won’t always know how much to give, and will be more likely to donate if your asks are more directed. Additionally, since you know exactly how much you need to raise for your campaigns, this is a good way of helping you ensure you’ll meet your goals. You can determine appropriate ask amounts by looking at your donor data and using a wealth screening service. Just be careful; you don’t want to ask for too much and accidentally offend a contributor. If you have no idea what to ask for, let your donor lead the way. Although many donors will give out of the sheer goodness of their hearts, some might need a little more motivation. Membership programs incentivize donors by offering them something in return for their contributions, which are given in the form of membership fees. The perks of being a member don’t have to be big or expensive. Even a little reward can act as a great incentive. An email newsletter that gives members first access to exclusive information or provides content that’s not available to non-members. Free parking passes or discounts for your other fundraising events. Trinkets branded to your organization, like t-shirts, mugs, calendars, etc. The possibilities are endless. With just a little creativity, you’re sure to have a membership program that’s too enticing to pass up! 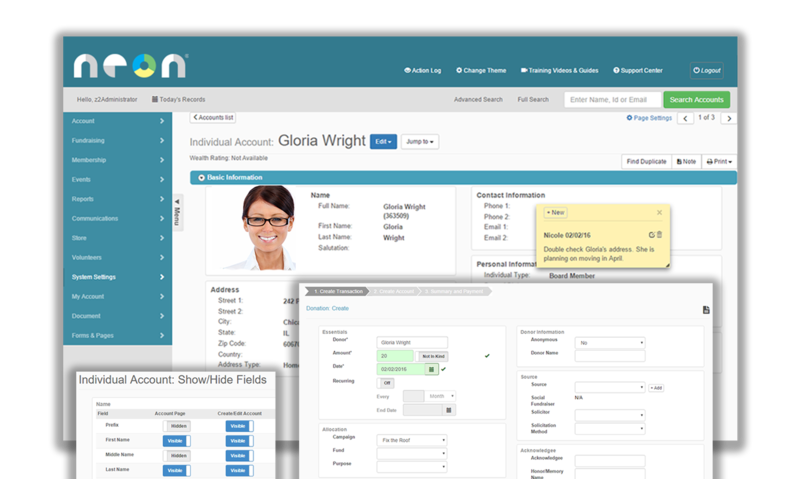 For more information on how Neon can help, check out our Membership Management Software Guide. Each donor is a unique individual. If you want them to give, you need to establish a personal relationship with them. This is especially important in the context of an annual campaign, when donors will be directly supporting your organization by giving unrestricted funds. Every time you reach out to donors, make sure to personalize your outreach as much as possible. Always use donors’ names (spelled correctly!) in your correspondence, and include other personal information, if possible. For example, if you know that one of the donors you’re reaching out to is a recurring giver, make sure you acknowledge their previous contributions to your organization. If donors see that you care about them personally, they’ll be much more likely to support your organization. Just as important as being personal is being relevant. Not all of the information you send out in your annual campaign will apply to all of your donors. For example, while a recurring donor might be interested in moving up giving levels, a new donor wouldn’t be ready to take this step. 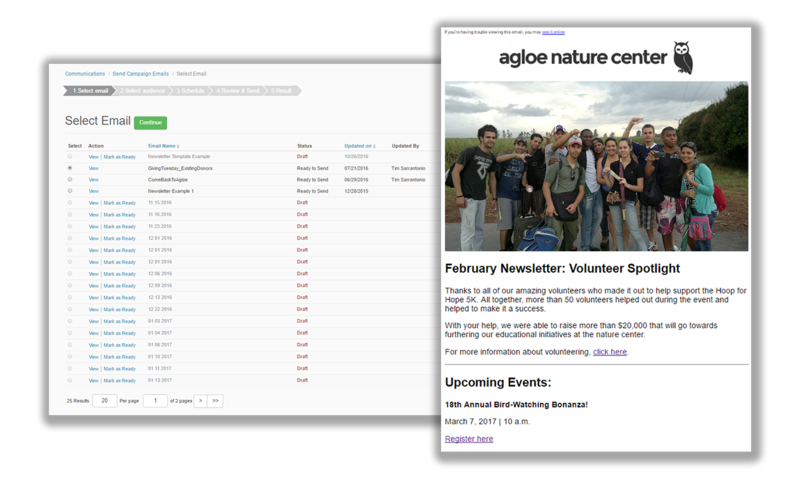 Segment your donor list based on different criteria so you can target different groups with relevant content. You’ll be much more likely to engage your supporters and see the results you want. Although it will be tempting, your organization shouldn’t always ask. Constant asking could annoy donors and hurt your relationships with them. Fundraising will be a big component and goal of your annual giving campaign. However, it’s more important to view the campaign as an opportunity for building meaningful relationships with your donors. Sharing your organization’s story with them. Giving them updates about your campaign. Providing other opportunities with your organization, such as volunteering. Commenting on or sharing their posts on social media. If you focus on building organic relationships with donors, the funds will come naturally. When they trust your organization and feel personally connected to it, your donors should give more and give longer. Give me more stewardship tips. Planning and executing annual fund campaigns will be much easier for nonprofits with the help of fundraising software. Fundraising software comes in many shapes and sizes and helps nonprofits streamline their efforts and gain greater insights into their donors. Let’s touch on just a few of the ways that software can make your annual campaign more successful. Your annual campaign is all about stewarding donors and getting to know them! Donor databases make forming deeper relationships with your donors so much easier. This type of fundraising software tracks all important donor data in one place. That way, all data sources can communicate with each other to give you a 360° view of your donors. You can even make notes to remind yourself of the meaningful interactions you’ve had with supporters or add customizable fields to track organization-specific data. Centralized data gives you the most complete picture of your donors, so your outreach and appeals will be as informed and relevant as possible. The more personal your communications, the more likely your donors are to give to your annual fund! 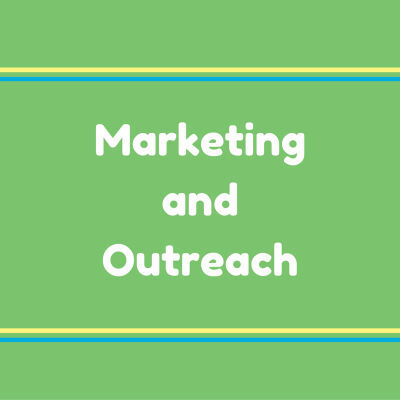 One big component of your annual campaign will be outreach. Most robust donor databases have communication tools built-in or support integrations with third-party platforms, so nonprofits can enjoy more streamlined communications. Since your communications will be linked to your donor profiles, you can use your donor data to inform your outreach. Your outreach will be tracked in the system, so it’s easier to stay on top of how often you’ve contacted your supporters and through which channels. The actions donors take will also be recorded in your system, giving you more insights into their communication preferences and which mediums work best. That way, you’ll be able to better target your outreach for future annual fund campaigns. Once you’ve reached the direct ask stage of your annual campaign, it’s time to start accepting donations! Most donor databases will have built-in online giving capabilities that make it convenient for donors to give. 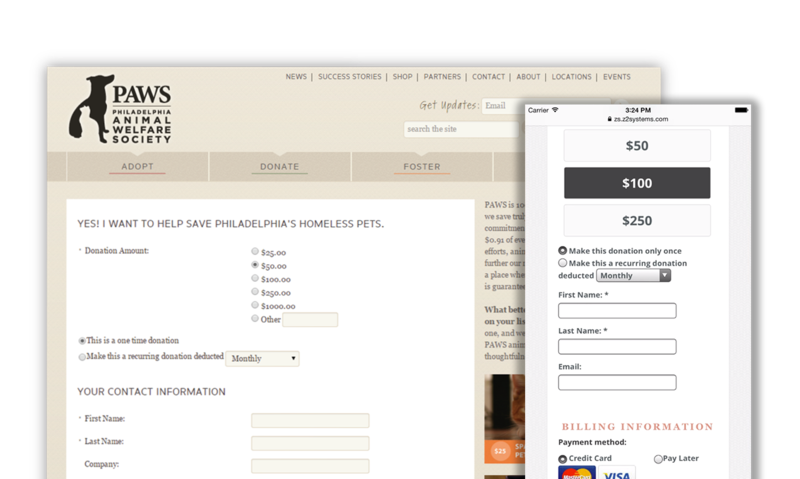 Customizable form-building tools allow you to build branded donation forms and seamlessly incorporate them into your website. 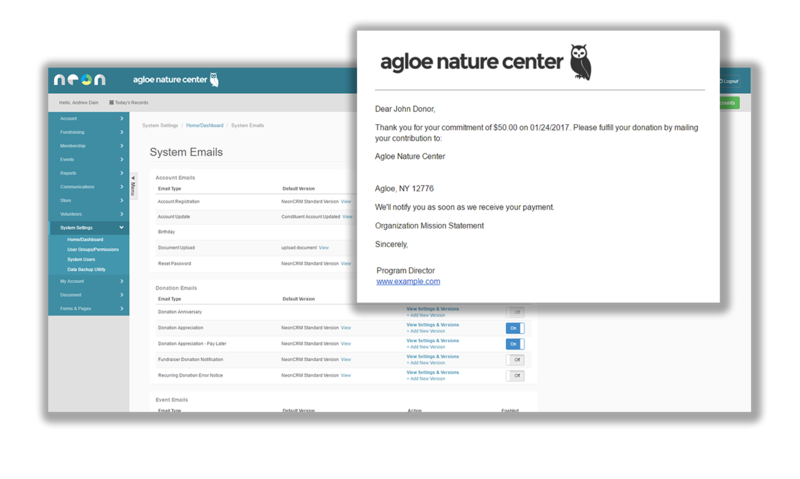 Additionally, your forms will automatically be mobile-responsive, so supporters can give on the go. You can also build other web forms. For example, if you were hosting a fundraising event within your campaign, you could create an event registration form. The information you receive from these forms will automatically be tracked in your donor profiles. You’ll have even more insights to help you with your future annual campaigns! In order to keep honing your annual campaign strategies, you need data to show you how well your organization is doing in reaching its goals. 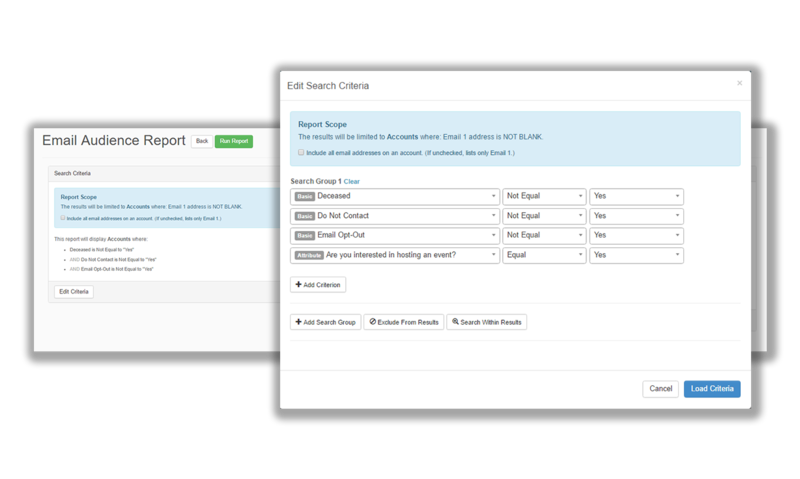 Donor database platforms have powerful reporting tools that allow nonprofits to easily export reports on a wide range of information, from finances to donor interactions and more. Since your database tracks all information centrally, these reports will be drawing off a more complete set of donor data. Your organization can analyze these reports to see which strategies are working and track how well you’re reaching your annual fund goals. Once the campaign is over, you can look at your reports more generally to help you plan for your next annual campaign. See how much your organization could be saving with Neon’s fundraising software. Is Neon right for me?